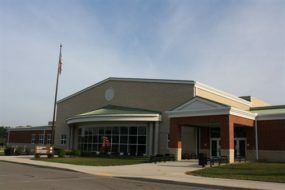 GALION — Galion Middle School is hosting a Scholastic Book Fair from Oct. 24-Oct. 31. The sale is in the Galion Middle School Media Center, and will be open to students from 7:30 a.m.-3 p.m. on school days. Orders may also be placed on line at scholastic.com/fair, and free shipping is available to the school. Payments can be made using cash, check or credit card. Checks should be made payable to the Galion Middle School. Money raised will go toward purchasing new books for the school library and teachers’ classroom libraries. New this year is an incentive involving the total number of dollars purchased. If students and their families purchase a grand total of $2,500 or more of items during the book fair, Middle School Assistant Principal Brian Kinnard will dress as a pirate for a day! Thank you for encouraging your child to read. If you have questions, you can contact Tracie Wittibslager at 419-468-3134.